Whether you’ve just started losing your hair or it’s all gone, Hair Club Milwaukee has proven solutions for men and women of every age with every level of hair loss. Let us customize a hair loss solution for you so you can live life to the fullest. Located just outside the city in Wauwatosa, Wisconsin, Hair Club Milwaukee serves the hair loss needs of clients in the Greater Milwaukee area, including West Allis, West Milwaukee, West Bend, Fond du lac, Sheboygan, Menomonee Falls, Waukesha, Lake Mills, Madison, Fort Atkinson, Janesville, New Berlin, Oak Creek, Racine, Elkhorn and more. Visit Hair Club Milwaukee for a free hair and scalp analysis with one of our trained experts. Together, you’ll determine which of our proven solutions is right for you. Don’t wait another minute—take the next step toward experiencing life in a whole new way with hair that makes you feel confident! Visit Hair Club Milwaukee today and take the next step toward getting your hair back. Hair Club Milwaukee is located in the kitty corner from the Crowne Plaza Hotel. It is a gray Building with black tinted windows. The building name is Mayfair Crossing. The Main Entrance is located at the back of the building by the parking lot. IMPORTANT NOTE: After parking in the parking lot, please use the front doors. The side doors are locked. Please use the North Entrance for Wheelchair Accessibility. Take US-41 / US-45 South to Watertown Plank Road. Take a right to Hwy 100 (approx. 1/2 mile), we are located on the NW corner off of Hwy 100 and Watertown Plank Road. · Take I-94 West to I-43 / I-894 bypass exit. · Merge onto I-894 West, stay straight and merge onto US-45 North. · Exit on Watertown Plank road, take a left to Hwy 100 (approx.1/2 mile), we are located on the NW corner of Hwy 100 and Watertown Plank Road. We are located on the NW corner of Hwy 100 and Watertown Plank Road. · Take I-94 East to WI-100 North (exit 304 AB). · Turn left onto WI-100 North. · We are located on the NW corner of Hwy 100 and Watertown Plank Road. Janet joined Hair Club in 2003 and her responsibilities now include overseeing center operations. Janet appreciates the opportunity to interact with clients every day and she’s made it her mission to help them look and feel their best. Angela is committed to ensuring each client receives top-level customer service and she prides herself on personally connecting with clients. She joined Hair Club in 2003 as a stylist, and was promoted to her current role in 2014. Jennifer loves helping clients reach their personal goals. She works to ensure they have a positive experience and feel confident about their hair. Jennifer joined Hair Club in 2008 and was named a President’s Club Champion in 2011 and 2015. I feel that Hair Club changed my life for the better. I feel I can go out and I don t have to worry anymore! I couldn t be happier. I feel that Hair Club changed my life for the better. I feel I can go out and I don't have to worry anymore! I couldn't be happier. Angela, my stylist is awesome. And the whole staff is very friendly! Everyone at my Hair Club is very nice. The staff is accommodating. I love the tips that I receive on hair care and products. I have always had a positive experience with Hair Club and their staff. I made a great choice to get my hair back! I have been a member for over 10 years. The staff is very friendly and my stylist, Angela, takes good care of me. Can't imagine myself without hair anymore. Very nice and well organized staff - I never have to wait for an appointment. The service itself is actually rather relaxing. I have been a client for almost 10 years. It was the best decision I made. My stylist is fabulous and the staff is awesome. I have been a client for 10 years. The stylists are excellent and have great service. Everyone at the center is helpful and friendly. I have nothing but a good experience with hairclub. Michele is an awesome stylist - she listens to what I want and goes out of her way to make my services always positive. My stylist is awesome. Staff is friendly and nice and always accomadating. Nothing but positive to say a true customer service business. Hairclub changed my life. It gives me a whole different look - the look that I want. I looked 20 yrs. younger. I am more confident and I work on stage and it has given my career longevity and to have a younger look has enabled me to prolong my career. Been a member 19 years... Love the ladies, they listen to me andd help me to have the confidence to help me live myt life so I can be me and live my love. Every body is awesome. Very kind, welcoming and professional. I have been a client for 5 years. Very happy with the service and people are very nice. I have been a client for over 10 years. I give all praise to my hair Diva, Michele as well as the staff. I have received wonderful personal care and styling from my good friend and wonderful stylist. The staff is very professional and always friendly. Been a client for 8 years. I am treated well and the service is great. Michelle and Teri are the best! I have been a client for 3 years and I have to say, going to Hair Club has been one of the best decisions I ever made. I was a former Bosley customer, a horrible experience might I add, and I was apprehensive about joining. But thankfully, this place is nothing of the sort. I LOVE IT! Been a clint for many years and the service is the best. The people that work at the hair club make yo feel at like you are the most important person. They are the best, if you need anything they do there best to help. All the workers are great and very easy to talk with. I have been a client for 10 years now. Laurie is my stylist and she is a pro at what she does. Great Staff Excellent Service A rating keep up the great job. Thank you!! The best experience I ever had! I have been client for over 10 years now, Great People Great Service. A rating keep up the good work ladies. I would of given a 5 star rating if the TV's were in the style rooms! You guys promised them years ago. Staff is great. I have been going to HC for almost ten years. I think of Laurie as not only my stylist but as a friend. Making the phone call to make an appointment was one of the hardest decisions I have had to make. As it turns out it was the best decision of my life. Laurie I know I don't tell you often enough but thank you!! Thank you HC for the professionalism, privacy, patience and problem solving. LOVE YOU ALL!! Laurie and Teri are great. Laurie always provides excellent service and quality work. Janet always thinks about customer satisfaction. Keep up the great work, team. I have been a customer for 3 years and i am glad that i made the decision to treat my hair loss. At first i was very nervous about how it would look and if someone could detect my hair unit but it is blended so well that nobody can tell it isn't real. The staff is pretty nice and i usually have laurie as my stylist. She is the best in my opinion. I have had others and once it was applied to far back and once it was applied crooked. Laurie Always gets it right and is very quick compared to the others. She is a great stylist and deserves some compliments from management. And maybe a raise too! She rocks! I have been a member of hair club at the Milwaukee center for 10 years. The staff is extremely professional and knowledgeable about the product and what their clients are trying to achieve. A world class center with world class staff. If you are contemplating a hair club solution with the Milwaukee center, do it! You will not regret it, and the results will amaze you. It seems like forever that I have been going to HCM&amp;W in Milwaukee. I have grown very attached to all the staff and enjoy chatting with them when I come for services. They have been very willing to accommodate when possible, and are extremely easy to talk to. Their products is of the highest quality and always happy with the end result. If I ever have a complaint or issue, it is handled professionally and immediately to make sure I leave happy and satisfied with my service. I would always recommend the product/service to others. What a wonderful experience, if I had known years ago, I would have been in then. The staff was excellent and Terri was wonderful and talented. The whole experience was great and I'm so very pleased with the Magic of the out come Well done guys. Tremaine is my stylist and she is fabulous. I couldn't be more pleased with the service I have received at the Wauwatosa Hair Club. The staff is friendly and attentive. MANY Thanks! The staff are always friendly and professional. Lori is exceptionally good at what she does and a joy to see. Have been a member of HCM for over twenty years through several different US centers and many stylists/managers. Can unequivocally state that HCM-Milwaukee has the best team that I’ve experienced. In particular, Laurie is the best stylist, for both technical and interpersonal skills, with whom I have ever worked. Although the HCM experience appears to be simply a physical aesthetic improvement, which certainly gives you a tangible advantage in a world enamoured with good looks, the bigger advantage is the quantum leap in self-confidence that comes with it. I would partially attribute my personal and professional success (and they are noteworthy) to the confidence that has been instilled upon me by my “upgraded” physical appearance from the HCM services. It is a statistical fact that better looking people get better life results, in general. Many years ago I chose to improve my chances of life success with HCM and it was one of the best decisions I’ve ever made. 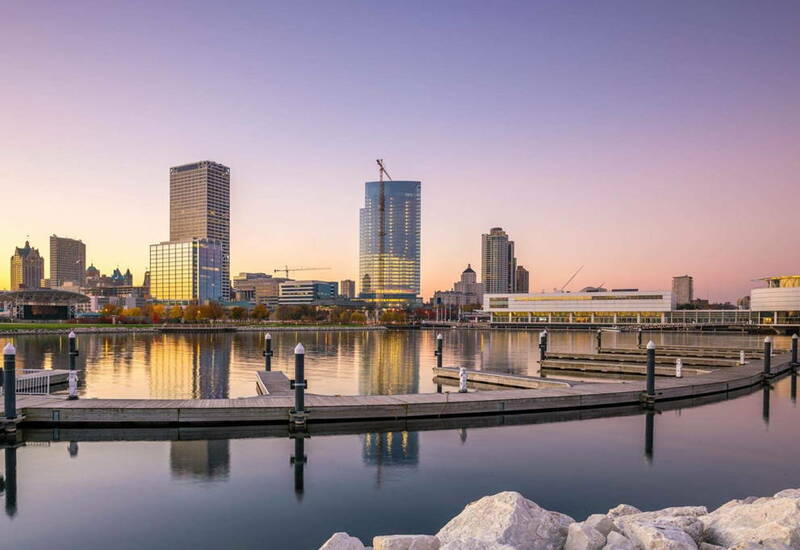 It is a pleasure to work with the Milwaukee HCM team and I look forward to being connected to them for years to come. Been going here for 8 years now and never had any complaints. The staff is very friendly and they know you by name. My stylist is very talented and makes my hair look great. I enjoy her company, and look forward to my monthly visits. The rest of the staff is great too. I would like to express my thanks to the employees at the Hair Club Wauwatosa site. For years I was ashamed of my appearance from thinning hair with balding. I always felt very self conscious and hated going out. My first consultation was in August of 2012... the staff was so supportive and understanding. They gave me hope when I felt defeated. I find that the staff are genuinely nice, caring, and excellent at their job. I have never felt so good about myself. Thanks Ladies!!!! - Patricia S.
I've been a member of Hair Club for over eight years now and it has given me back the confidence I needed. The staff is great and always make me feel comfortable when I visit. I recommend HCM to anyone wanting to feel better about themselves. HCM&amp;W Milwaukee is an amazing place. From Janet to Cindy to Chris to all the stylists and especially my stylist, Michelle, my experience over the past 11 years has been very positive. The team is professional, responsive, caring, and confidential. Over this period of time, I've experienced first-hand, and repeatedly, the sincere caring and concern for me, personally. It's unusual these days to truly feel as if a business cares about you, that you're not just client X. HCM&amp;W Milwaukee has done that for me and has made a major positive difference in my life. Have been a member for many years, very pleased with the staff. Very accommodating, prompt with appointments, and friendly. I would recommend the location to everyone. HCM&amp;W provides the best hair replacement service that you can find. This is made possible from implementing the best hair replacement technology along with providing professional and consistent service at all times. I will say that Lori, Terri,Janet and Jen make my experience very enjoyable each time I am at HCM&amp;W. I am a 7 yr. member and will be going there for many years to come. Have been a member for over 10 years. Everyone from the management down to all staff has been wonderful and attendant to my changing needs. Lori does a wonderful job!! I have been a Hair Club client for over 20 years, the past 12 being associated with the Milwaukee Center. The entire staff is very knowledgable and are truly experts in their field. My usual stylist is Michelle, who is excellent at what she does, but several other stylists have pinch-hitted for her when she was not available. All have done a great job! I have only good things to say about my long term relationship with HCM and especially the crew at the Milwaukee Center. I have been a member since 2000. I am extremely happy with HCM. My hair has given me more confidence and makes me look and feel younger. Michelle does a fantastic job. I wouldn't go anywhere else. Always happy with the service I receive at Hair Club - The entire staff is helpful. I have been a member for the the past 9, almost 10 years. This has been a very positive experience for me. I cannot imagine myself "without" hair. The staff is excellent from top to bottom. As a long time client I have been very happy with the service I have received over the years! Chris always starts my visit with a kind smile and I know I am always in good hands with any stylist, but Michelle is my favorite. I'd like to express my appreciation for Jennifer Miller's professional and thorough explanation of the services available at Hair Club in Wauwatosa WI. Jennifer explained various treatments in detail and the results that could be reasonably expected after a few months. Jennifer readily answered all my questions. I was impressed by how I was treated and how professional everyone is. great staff and always nice and helpful. Glad I made the choice to get my hair back. I can not adequately express my gratitude for Tramaine. She is a God-send! This experience has changed my life. I’ve been coming to HCW for about 9 years. It has been a great experience. The staff is so pleasant and accomodating. Michelle has been with me almost from the beginning and I can’t say enough about her expertise. I tell people about HCW all the time and have gotten one of my customers to start with a system. Love it! Ive been a member for about 8 years and it has always been an excellent experience, everybody is extremely nice and offer a high quality service! If you are thinking about joining I would recommend it. I'm newly retired and a new member of Hair Club. I was a bit nervous about the whole thing but now I honestly don't know why I waited so long.